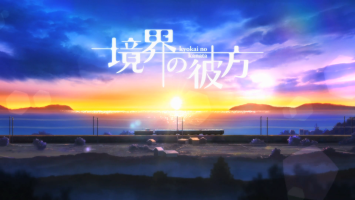 Welcome to the ninth week of the Fall 2013 season of Anime Knockout! Every week, we will review the new anime of the season, rate them, and kick the weakest show off of the queue. Spoilers ahoy! So, if you don’t want to know what happens, come back after you’ve seen this week’s episodes! 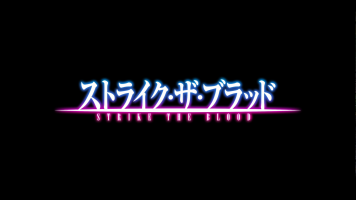 Strike the Blood follows a four or so episode arc pattern, which is a little refreshing in it’s retro way. However, they spend so much time on frivolous fanservice that does little to nothing to advance the plot or develop the characters. This episode spent a few minutes with Kojou modeling for Asagi’s art project. All that needed to come out of it was Asagi telling him that she wants to know what he’s hiding. If they forgone these pointless sections or figured out another way to approach them, they could use those minutes to explain the world, the characters, or the plot. Maybe all three at the same time. As for the world development, I really like the mesh of magic and tech in this series. The two are not mutually exclusive. Spells can be carried or cast from cell phones. Headphones become focusers. Technology is a tool or vehicle for magic, rather than insisting that the two remain separate and magic locked in pre-industrial trappings. I’m really surprised that Asagi doesn’t already know that Kojou is a vampire and I’m even more surprise that Nagisa, his little sister, is also ignorant. In a world where demons and magic exist openly and a city that is a reservation for such elements, why wouldn’t he say anything to his friends and family. He doesn’t necessarily need to tell them that he’s the Fourth Progenitor, but letting them know that he’s a vampire would seem more like an act of courtesy in this world. “By the way guys, I’m a now vampire and I might get a little bitey. Let me know if I start acting too weird, okay?” In fact, this show makes more sense when I approach it from the angle that his friends and family are already aware of his condition. I’m willing to bet that Asagi is going to be the next member of Kojou’s harem and provide a new Familiar to his collection. Yukina’s jealousy over Kojou still doesn’t make much sense to me. She’s his observer, not his girlfriend. What’s even more baffling is Sayaka’s blushing over Kojou, especially after the reveal of her phobia of men. Starting in episode 9, there’s an evil angel plot so this arc. It might have been better if the episode didn’t spend so much time being perverted instead of actually moving the story along with at least some of the characters. Overall, I’m surprised this anime lasted this long the this review knockout series. It’s not my thing and I wouldn’t have watched it otherwise. I don’t find the plot that interesting, but it was simply more entertaining and not as gross as some of the other stuff this season. It was hard to keep up with who was who and their names and if they were actually important or not, considering each big bad villain so far has turned out to be uninteresting, weak, and quickly forgotten about. The character relationships are all over the place and it seems we are watching Akatsuki Kojou build up a harem instead of an army of loyal minions. I would say this anime is an average anime. It’s wasn’t bad, just not what I would personally consider great either. It was not made for people like me, and I could bet the intended audience could enjoy it a lot more than I can. At least this show didn’t totally gross me out, make me smack my own forehead much, or put me to sleep. Shiroe pulls his ace card and the “Villain in Glasses” stands over the Round Table Council and in control of the Guild Building. That means he controls who has access to the Guild Building and the Bank. As he fights to improve the safety and conditions of Akihabara, Akatsuki and Naotsugu execute the rescue of the low-level players from the Hamelin guild. Tohya and Minori show their mettle, despite their weak levels. The mission to help the children escape the guild that was using them was a success. Shiroe is now heading a round table meeting with the leaders of several of the largest guilds, where he reveal he purchased the zone the guild building zone, which is also where the bank is. Now he has complete control over it as he attempts to set up a law system. I like how they’re calling Shiroe a villain because he’s outsmarting and manipulating their digital world. After spending a week skipping class and claiming to be sick, Kaga’s suffering from deep anxiety over whether Banri still loves her or if he will leave her. A great deal of the episode was dedicated to a Banri and Linda flashback to high school. Linda’s brother has a fiancee that’s cheating on him without his knowledge. Linda and Banri confront the fiancee, then Banri tells Linda that he’ll always be there for her and that he’ll always find a way to her. The end of this episode makes me worry about this show. I hope it’s not a twist for the sake of a twist. There was plenty of drama without this sudden shift. Banri was wearing a shirt that said “America” on it, and when there was a shot of the classroom, there seemed to be hardly anyone in class. It was also pretty clear that Kaga was faking being sick, and it’s probably because she now knows Banri and Linda have a history, and it got to her. Kaga is feeling anxious and with Ghost Banri obsessing over Linda, it appears she had good reason to it if it was an instinct or sensing thing. Linda is quoting Banri’s own words from the back to him when she gives advice about his relationship with Kaga. At the end of the episode, suddenly Ghost Banri wakes up in his body again. Some pretty heavy stuff going on. I did not expect this anime to turn out to be this… interesting. Youmu Akihito leaves his apartment and the Spirit World Warriors begin to search for him. Izumi tells Mirai to kill Akihito as soon as she sees him. If the Calm ends as he is now, he will remain a powerful youmu with immortality. However, during the Calm, he does not have his immortality. Mirai cries on Sakura’s shoulder the next morning. She’s not hungry. Hiromi, aka Pervy-brother, confronts Izumi about Akihito’s transformation and manipulation of Mirai. He tells Mirai not to kill Akihito, but to contact him as soon as she sees him. While searching for info, he forgets to lock the seal behind him, and Miroku walks in to retrieve the Hollow Shadow’s stone. Mirai looks for Akihito and finds him. A fight ensues. Still can’t go an episode without being reminded of the boys’ fetishes. Apparently it dominates their personalities and characterizations. I know it’s for comic relief, but it’s tiring and there’s got to be another joke they can use. Anyway, since Akihito’s human half was weakened so much because of the Calm, his yomou half took over. Sine he would only get stronger and more demony after the Calm, Mirai is told she has to kill him on sight. She doesn’t want to, naturally, since she likes the guy and all. Even when Scarf-boy told her not to kill Akihito and call him instead, she does it anyway. For some reason it was raining during the battle, but it was to make the scenery gray and sad since she’s trying to kill her friend. The monster attacks are treated as ordinary events, barely worth 30 seconds on the news. 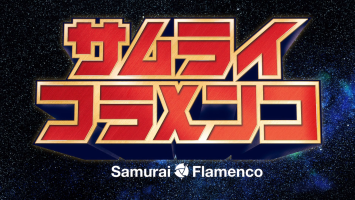 Samurai Flamenco’s outfit is still leveling up. The Flamenco Girls start skipping the weekly fights, as they bore Mari. Goto gives his report: Two months of weekly monster attacks. No police or civilian deaths since the Gorilla. Konno, the media man, gets an interview with Flamenco Diamond. She’ll leave monster of the week to Samurai Flamenco. She’ll go after King Torture. Later, Konno is captured and battered by King Torture, so that nixes the idea that Konno is somehow behind these stunts. Harazuka tells Hazama that the tech King Torture is using tech that’s unknown, beyond anything on Earth. So, do we have aliens on our hands? Hazama gets a pic of Mari captured and beaten. He then gets a call from King Torture. King Torture wants a final battle. I still have no real idea as to what the hell is going on and it’s nice to see that Harazuka is trying to figure it out. At the start of the episode, there was a monster/mutant that let Samurai Flamenco answer his cell phone, and then Samurai Flamenco freaking let the enemy know that the Flamenco Girls wouldn’t be coming because they were busy. Is this the most polite and stupid battles or what? Still funny though. Then we actually got to see Hazama training with Red Ax in a doujo. It’s very suspicious that the monsters appear once a week… Since everyone is getting bored with the same weak enemy, Flamenco Girl Diamond issues a public challenge on through the internet against King Torture himself. Goto saw the video and goes to her place to talk about it. Somehow, she changed his uniform into another uniform without him being aware of it… Goto is getting tired of the heroes attitudes. Then we saw that one manager, Konno, was captured and tortured by King Torture already and Konno was forced to call Hazama’s manager and he proposed for some reason. Of course, she hung up on him. When King Torture started talking about how torture reveals a lot about a person, I got some major Firefly nostalgia. 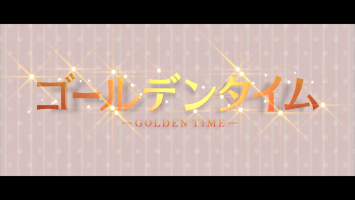 I have to say, the heavy stuff that going on and then the happy-go-lucky colorful ending theme is quite disorienting. 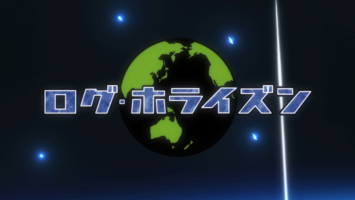 This week, Strike the Blood finished with the lowest score. It will not return for Week 10 and we won’t have to watch another episode of it! This entry was posted in Anime Knockout, Anime Knockout Fall 2013 and tagged anime knockout by Briarhenge. Bookmark the permalink.